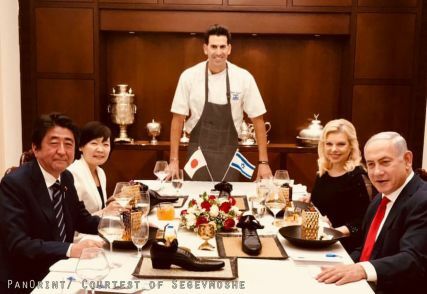 Tokyo- Japan’s Foreign Ministry declined to comment on media accounts of a shoe filled with dessert and served to Japanese Prime Minister Shinzo Abe and his wife Akie at a dinner hosted by Israeli Prime Minister Netanyahu in Israel last week. 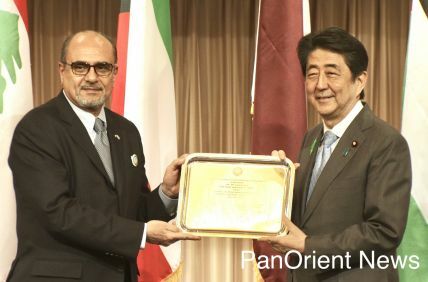 "Abe and his wife ‘enjoyed the dinner,’” a MOFA official in Tokyo told PanOrient News, “and we have no comment on the reports of the shoe.” The official added that it s was a “private dinner” on which the ministry would not comment. 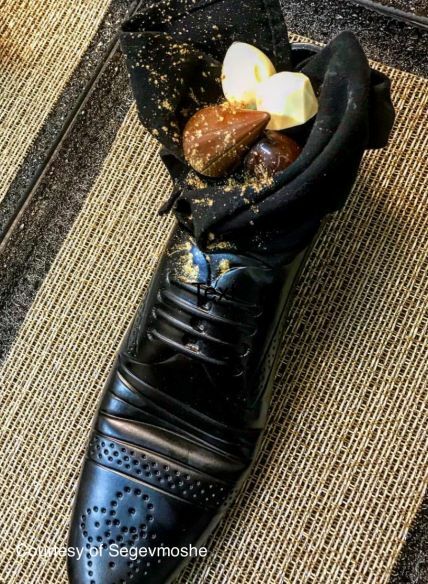 He also declined to comment on whether putting a shoe filled with food or drinks on a dining table where a Japanese leader is sitting is acceptable in Japanese culture. Abe was in Israel last week on the last leg of a tour that took him to the UAE, Jordan and Palestine. In the meeting with Netanyahu, Abe reportedly said Japan will not move its embassy to Jerusalem. He also asked Israel to stop building settlements on Palestinian land. An expert in Japan-Middle East relations suggested the shoe dessert may have constituted Israel’s undercover insult to show disappointment in Japan’s policy in the Middle East, which traditionally has supported Palestinian rights and UN resolutions to end the Israeli Occupation.